Financial Analysis - Allen Bailey & Associates, Inc.
Financial Modeling. Financial modeling can be utilized on several forefronts. Whether we utilize the cash flow testing models or develop model office tools for specific products, financial models can be built or refined (if currently available). AB&A can utilize cash flow testing models for purposes of completing financial analysis in general. 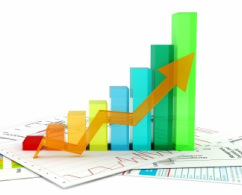 As a part of the product development process we can build tools that will allow you to monitor product line earnings. In addition, reinsurance arrangements will frequently warrant a financial model to determine the impact of certain transactions. In some cases a high-level simplified model may be sufficient, or a more detailed model may be needed. Regardless, we will work with you to determine what is appropriate for your situation. Valuation of In Force Business. We have extensive experience in the area of mergers and acquisitions. One of the primary services that we provide to clients is the ability to effectively model inforce blocks of business. The development of an inforce model is a natural byproduct of the cash flow testing process. The inforce model would be updated with regard to certain assumptions (best estimate assumptions replacing more conservative cash flow testing assumptions) and the inclusion of risk based capital. The indicated model would be utilized to develop a year-by-year projection of earnings from which a value of the business would be derived. Sensitivity testing would be a key ingredient of this analysis. A report based on our analysis would be provided.